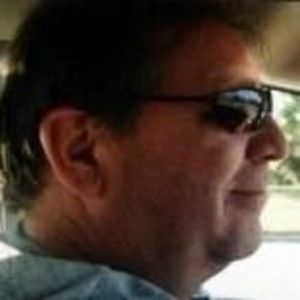 Robert (Bob) W. Fogle, born January 10, 1957 formerly of Proctorville, Oh, Willow Wood, Oh and Famersville, Oh passed away Tuesday, March 7, 2017 at Jo-Lin Health Center in Ironton, Oh. A visitation to celebrate Bob's life will be held from 5 to 7pm, Friday, March 10, 2017 at Klingel-Carpenter Mortuary, in Huntington, WV. Bob was born in Dayton, Oh to Marc and Veda Fogle. He was a 1975 graduate of Valley View High school where he was active in sports, FFA, 4H and school activities. He is survived by brothers, Don (Margie) Fogle, Roger (Janis) Fogle, Randy (Karla) Fogle, Tom (Gina) Fogle and Chris (Amber) Fogle, children Autumn Hunter, Matt Hunter, Ash (Bobbi) Fogle and Caitlin (Kalen) Fogle-Morgan, grandchildren Caleb Hunter, Colton Napier, Madison Napier, Mekenna Hunter, Wyatt Napier, Hadleigh Napier, Camryn Hunter, Camilla Morgan and Violet Morgan and great-grandchildren Addison Leffingwell and Myles Hunter. He is preceded in death by wife Sheila Fogle, parents Marc Fogle, Veda DeGroat and Lester DeGroat. Bob leaves behind an abundance of nieces, nephews and family that will miss his playful, fun loving personality, old school friends that were touched by his life and many, many friends he made through school, work and volunteering that became like family to him over the years. He was always hard working whether he was bailing hay or in the operating room. He loved his job with a passion that every nurse should have. He spent his off time volunteering at hospice, kayaking, fishing and particularly loved to teach anyone who wanted to learn to hunt, fish or do anything outdoors. He was proud to be able to fix anything from plumbing to cars and was quick to help friends anytime he could. The family would like to extend a special thank you to Jo-Lin of Ironton for providing excellent care in his final time of need and caring for him like he was a part of their family. He adored many of his caregivers and enjoyed that they embraced his sense of humor. We want thank Craig Weaver for all his unconditional support, visits and making sure that he felt so special and loved. Thank you to Dr Ahmed Ijaz of St. Mary’s Neurology Inc for the years of living he provided with unfaltering care, support and patience.